When you are eating, you may not know about everything that the food is going to your body. However, it is important that you know about the foods and drinks that you need to stop eating today. Yes, today. Don’t wait another day to let these foods and drinks cause more problems in your life. You are here because you are ready to make healthier choices in your life. By giving up these foods you are giving yourself the opportunity to reduce your risk of getting certain diseases, creating a healthier lifestyle, reducing your risk of cancer and much more. You need to stop drinking diet sodas. Yes, this is not a food but it is very important. You need to replace these with water or even flavored water. 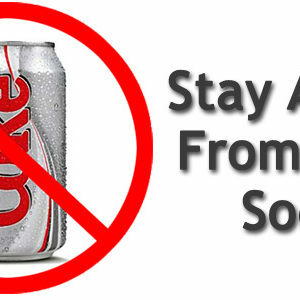 It is advertised that diet drinks have no sugar however artificial sweeteners are added for a bit of sweetness to them. These artificial sweeteners cause so many horrible side effects. The truth is so many people drink diet soda because they think it is healthier for them but they say it doesn’t taste good. So why drink it at all? There are many lean meats that can be good for the body in the aspects of getting proteins and minerals, however, refrigerators are shoved full of the processed meats. That type of meat is generally created with salt and preservatives and sent through a machine. If you want pressed meat it is much healthier to buy fresh chicken and cook it yourself. You can then slice it up and put it in your fridge. By doing that, it may take a bit more time to make but at least it doesn’t take more time off from your life due to health issues. What mayonnaise? Yes, you should get rid of any mayonnaise you have today. You may like to add it to a wrap or sandwich but if you want to be healthier, you should not be using mayonnaise. It is made with seasonings, egg yolks and a ton of oil. It is very high in calories and has no health benefits for you at all. There is a low-fat type of mayonnaise but with all the artificial ingredients in it, it is still not worth using it when it comes to your health. 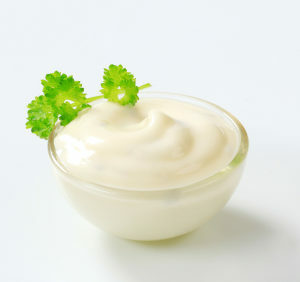 In the low-fat type of mayonnaise less oil is used but xantham gum replaces it. This is a product that comes from decomposing cabbage. It is fermented and is so bad for your body. These are the main things that you need to get rid of today. You do not need them in your diet and you certainly will be getting no health benefits from eating these foods. When thinking about your health and your nutrition, you must reconsider eating and drinking some things. When it comes to diet sodas, processed meats and mayonnaise just say no to them every single time. You should not have them in your home or have them when you go out of your home either. Think about this the next time you are going grocery shopping if you normally buy these things. Previous ArticleWhy Do You Need to Start Taking Magnesium Supplements Today? Next ArticleDo You Have Weak Erections? Change That Starting Now!